Comparing two identical images which are loaded in the format QImage::Format_Indexed8 have different pixel data only when running in Release mode. std::cout << QString("Byte count 1: %1 | Byte count 2: %2").arg(_img1.byteCount()). The indices that fail change when running on a different machine. My current guess would be that Qt does some optimization when loading images in this format. I can't explain why this doesn't result in the same data for two identical images however. I think I can see what's going on here. Your image is 8-bit grayscale with a width of 127 pixels. All those indices where the differences occur are multiples of 128 (minus 1, i.e the last column in a 128-byte row). Since you have obtained the raw image bits, it's most likely that row data in the image is aligned (commonly 2 or 4 bytes). Qt is probably not writing anything into those padding bytes, since they're not considered part of the image. So you're really seeing undefined behavior, as your program cannot guarantee repeatable results (loading data from an uninitialized memory location). To properly compare your image data, you will need to skip over any padding bytes. That means you'll need to know the padding amount. Given the richness of the Qt library, I'm sure that there will be some way to access or infer that information. I am trying to create a NURBS surface in 2D from X, Y coordinates of a matrix with MxN M rows and N columns, and to be able to adjust it from LxK Ctrl points. 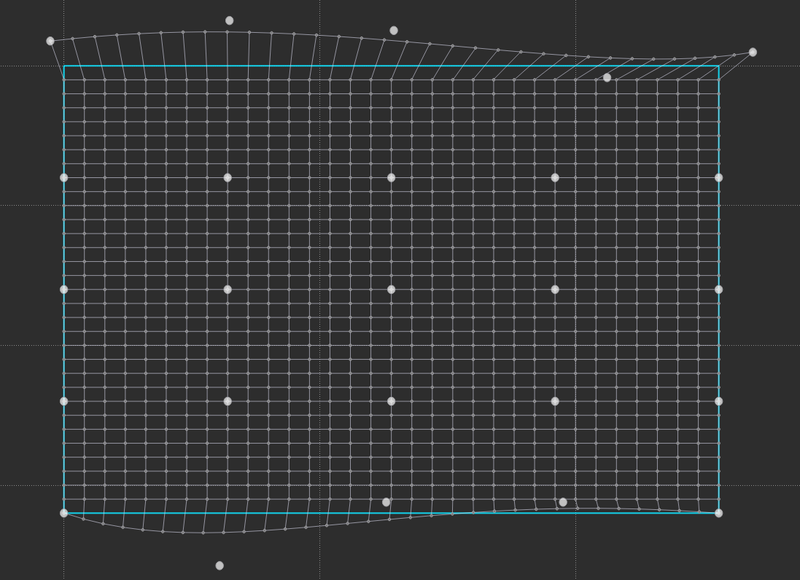 I am using a Bezier algorithm to generate only one horizontal curve each time that I move a Ctrl point. But the idea is to move one Ctrl point and recalculate the entire mesh based on that movement. Also, to be able to generate the MxN points based on distribution of the Ctrl points. These points are not the same as the Ctrl points. How can I generate the MxN points after a movement of one Ctrl point in order to build a new Mesh? The weight of each Ctrl points are the same in this case. I am trying to assign a QPixmap to a QLabel in Python and I get a seg fault. I do this the exact same way many other times in my code and it works just fine. I can't figure out what I'm doing wrong in this case. So I convert a np array (type uint8) to a PIL image (after making it RGB), use ImageDraw, make it a QtImage, then a QImage (I've tried without the QImage step) then make a pixmap and assign it. I copied this code from another function which displays red ellipses and it works just fine. Please let me know what I'm doing wrong here! Trying to copy part of an image as a polygon (specifically a pentagon) but im more interested in how to copy as anything but a rectangle. The following code only allows to copy as a rectangle. I am trying to get the format of the image from QImageReader. Image is successfully loaded, however, on querying format return value is empty. To ImageReader object, auto detection is set to true. // format is blank, I expect this to return "png"
I am expecting format as "png", but it is blank. Have I done something wrong?